The aim of this project is to record the species found on Weltevrede 214. 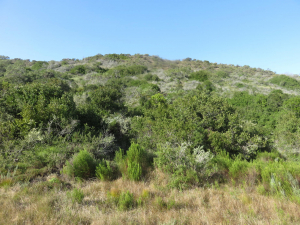 According to Rebelo et al the vegetation type on this stabilised dune is Southern Cape Dune Fynbos. There are also patches of thicket where woody plants have established themselves.